You are here: Home / Bible Study / Bible Study: You Can Study the Bible For Yourself. 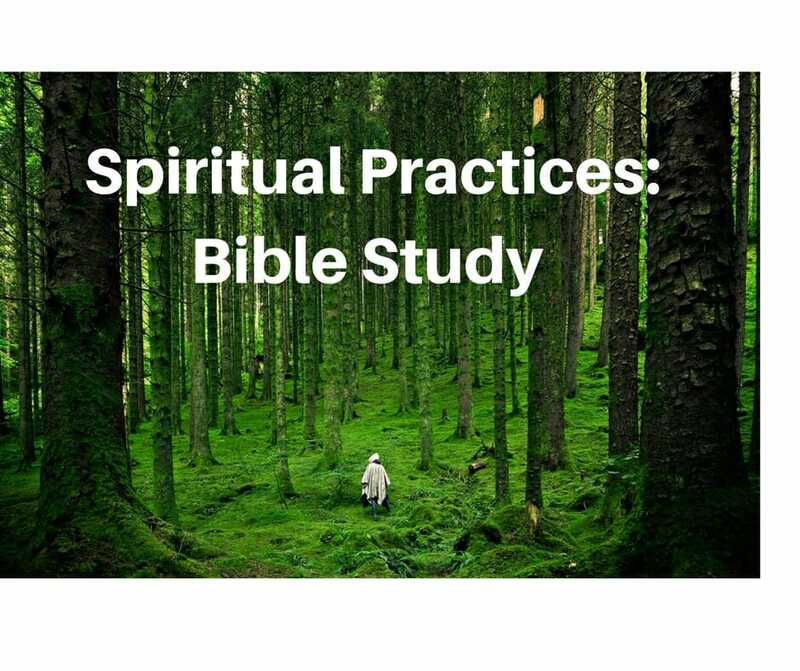 Bible Study: You Can Study the Bible For Yourself. Why should you study the Bible? Isn’t listening to a sermon or attending Sunday School enough? This is Part Five in a series on developing spiritual habits in the Christian life. I’m taking my topic headings from the book, “Celebration of Discipline” by Richard Foster. Today, we’re looking at the topic of Bible study. Digging deeper into a biblical passage in personal study. Involvement in a group study. Meditating on how you can apply God’s Word to your daily life. What are you studying on your own right now? What’s working for you? 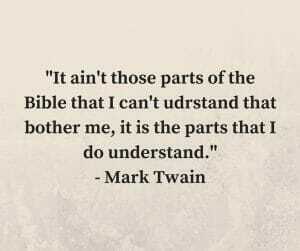 What frustrates you most in studying the Bible on your own? If you have been following this study every week, you might remember our second study on meditation and are asking, what is the difference between meditation and study? 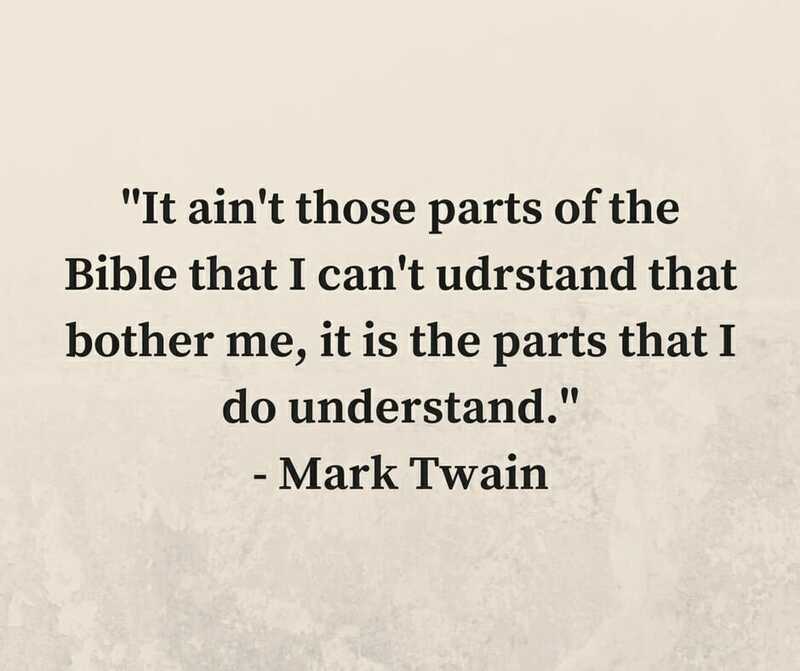 Regardless of the semantics, studying the Bible is important and you can understand it on your own. Never before in all of history have we had such an array of Bible helps. Believers need to become more thinking and less feeling in our faith. Knowing and understanding the Bible gives us a framework, a structure in which to live our lives. Do you want to know how to stand on issues of our day? The first question we need to ask is, “What does the Bible say?” Why is this important? What do these verses tell us about the impact and importance of God’s Word? Read Romans 12:1,2 – How are we transformed? What does renewing of the mind mean? How can a study of God’s Word aid in this renewal process? Read Acts 17:11 – The people in Berea were hearing some new and strange ideas. What did they do before they accepted these ideas? How could that apply in your life? Read John 8:32. How can a familiarity with a knowledge of God’s truth set us free? From what will it set us free? Read Deuteronomy 11:18-21. What is the writer’s intent? What would he like us to do? In what ways can we put God’s word ever before us today? Read Deuteronomy 11:22 and James 1:22-25. Studying God’s word daily cannot be merely an outward ritual. What are some ways we can move from head knowledge about God’s Word to actually applying it? 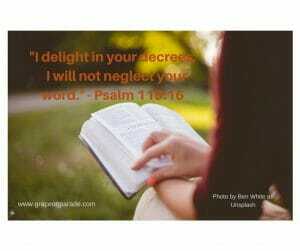 Read Psalm 119:9. A young man recently told me he understood what the Bible said about homosexuality but he didn’t understand why God would frown upon two men loving each other. Repeatedly I told him, “But the Bible says. . .” This young man had a disconnect between head knowledge about the Bible and actually applying its truth. How can we help our young people and new Christians move from head knowledge to heart application? Read Acts 2:42-47. How did the new church incorporate study of God’s Word into church life? What are the unique benefits of group study? Are you currently involved in a group study? If not, why not? As you seek to practice a regular study of the Bible, keep in mind these principles. Just do it. Start small. If you bite off too much, you will become discouraged. Do it regularly. The more you do it, the more pleasure you’ll find and the more you’ll want to do it. Seek balance. Meditation, deeper study, and group study each have their place. I find it tempting to allow my preparations for group study to replace my devotional time. Like anyone else, I need time between just me and God to discuss the Bible with my Lord and seek how I will apply His Word to my life on this day. Put God’s Word first. Richard Foster generalizes study to mean observation of nature, observing culture and relationships, reading the Bible, and reading other literature. These are all good activities and we cannot limit ourselves to Bible study exclusively. Yet we must always keep in mind that the Bible is our gold standard. Whatever you do, read, or observe, make sure it compels you toward opening God’s Word instead of replacing it. Pray first. Ask for God’s guidance to understand. Read a passage over and over. Read the same passage every day for a week. Journal new insights that come to you. Read the passage in several different translations. My favorites are the New International Version, New Living Translation, and New American STandard Bible. Use the cross reference section in your Bible to read similar verses. What new insights do you gain? Purchase a good study Bible like the Life Application Bible or NIV study Bible to read the notes on your selected passage. Be careful. It is more important to read the Bible for yourself rather than depending on what others have to say. However, study notes can give us information on cultural, historical, and biographical background. A seminary professor once said to us that the Gospel of John is so simple a child could swim in the shallow end, yet so deep, scholars could spend a lifetime exploring its depths. There may be a lot you don’t understand; that’s okay. With time, you will understand more.